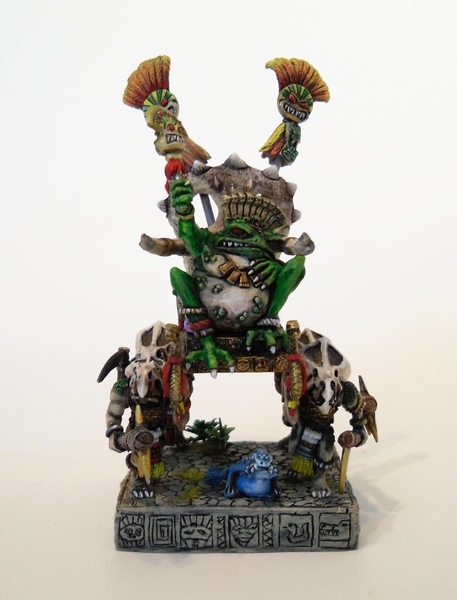 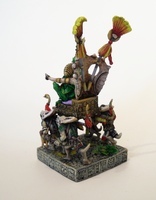 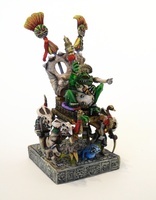 The old Slann model from the first lizardmen codex. 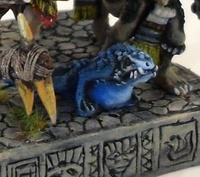 A small lizard model from the old lizard swarm. 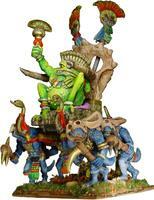 This is the same model with it's first paint scheme. 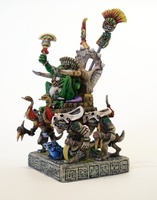 In 2011 I decided to update the model, so it got mostly repainted and it also got one of my self casted lizardmen bases.